Posted on March 28, 2011 by stephanie married. First, let me clarify this title. I am in my early 20’s, and definiltey not ready for the sounds of tiny feet at our place… but at my Sister and brother in-law to-be’s? Absolutely! It doesn’t feel like too long ago that Kristin was announcing she was pregnant and now we are in the midst of planning her shower. It is crazy to think that while I only have 3 months until I change my last name, she only has about 3 months until she changes her life! 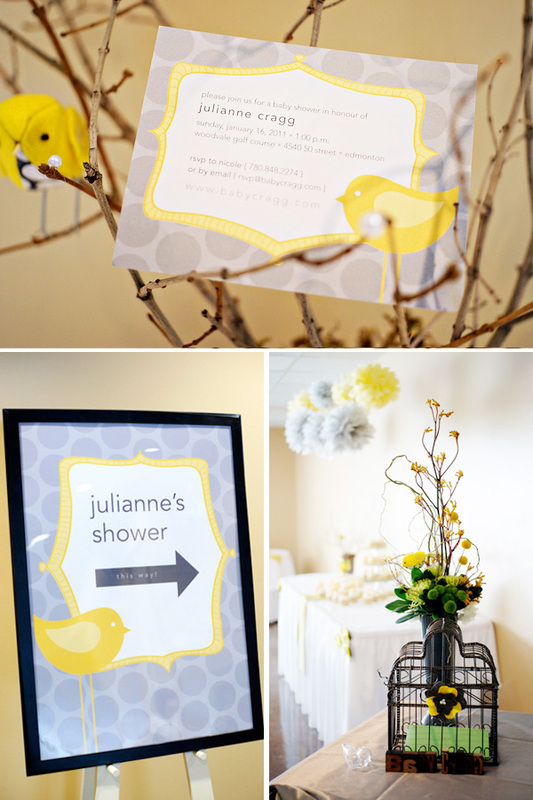 Needless to say, talk of a new baby on the way has been at the top of almost every conversation in our family, so when I came across this shower, I could not help but share. This post gives me hope that babies don’t always have to mean primary colors and Winnie the Pooh. 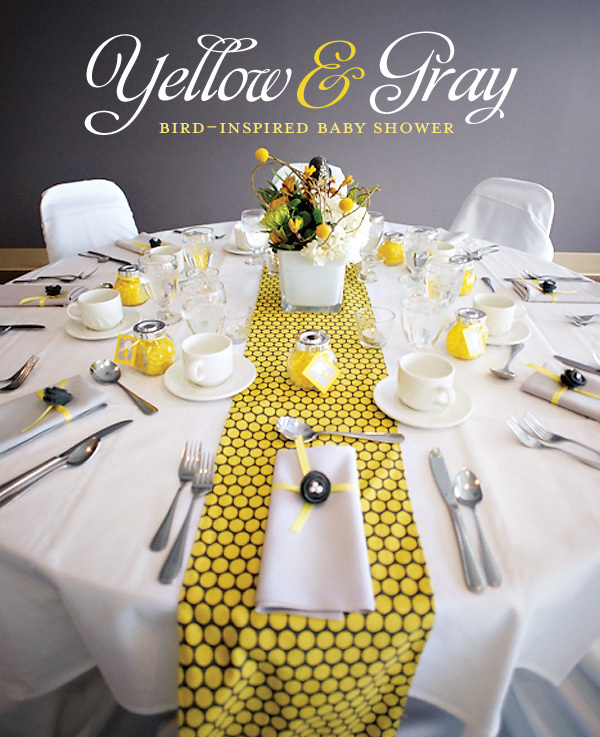 Click below to see more of this very sweet yellow and grey baby shower! Click here for more sweetness.